This article was published on March 1, 2017 and updated on November 28, 2018. More than 300 million Bitly links are created by Bitly users every month. 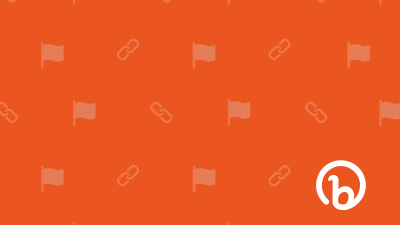 Bitly links are used for everything from shortening and sharing links to tracking multichannel campaigns, locations, teams, and offline collateral. There’s a lot you can do with every individual link. We’ve even written an e-book showing 37 different ways that companies, entrepreneurs, and artists are using Bitly links every day. Custom Bitly URL: If you have multiple custom Bitly URLs, known as “custom branded domains,” you can decide which one to use for the link. This is helpful if you’re managing different brands or teams and want to distinguish every link shared from each respective property. Tag: If you tag your links with a tag like “Marketing Campaign Q1” or “Social Media” or “Product Marketing” or “Landing Page,” you can filter for all of the Bitly links with that tag later, which makes it easy to get a quick view of how related links are performing. Title: Add a title to every new Bitly link to make sure that your links are organized and searchable. 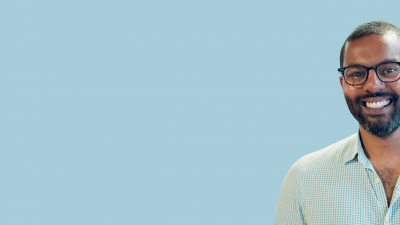 The Back-Half: You can customize the back-half of every Bitly link to reflect the landing page, campaign, brand, product, and more. This helps the link “pop” when it’s shared, showing your audience what they can expect and prompting them to take action. You can access all of the individual and aggregate metrics of your links by clicking “Bitly links” from the feature menu. Here, you can dive into individual link performance over time, referral sources, and location. You can also sort by top-performing links, date ranges, tags, overlay referrer, or location data across the performance graph. 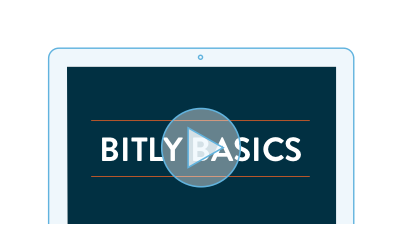 Learn how to make the most of our four core Bitly Enterprise features. If you customized the back-half of your link or want to see your history of redirected URLs, you can click “Custom Bitly links” from the feature menu. 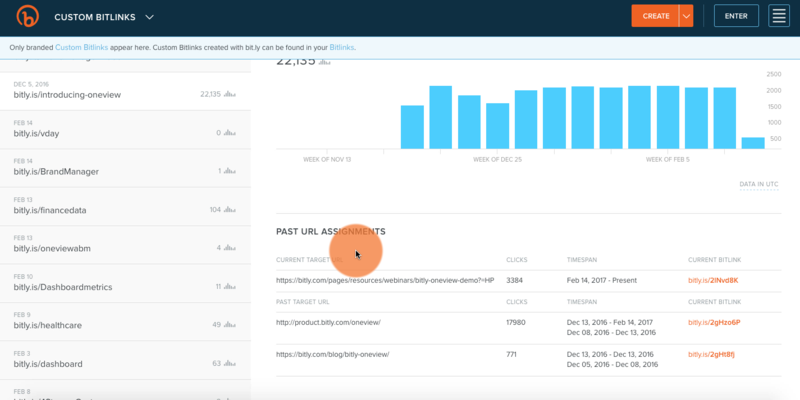 This is where you can view all of the data behind your customized Bitly links. 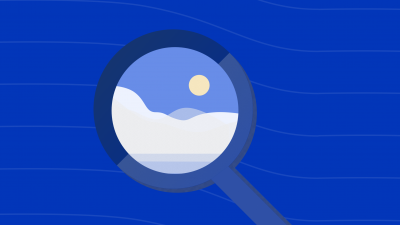 You can take a comprehensive look at how different URLs have performed as you’ve redirected them, too, giving you insight into which one performed the best over time. If you’re like Mashable and use Bitly to track Instagram referral traffic, the redirect history can be an invaluable tool in figuring out which content engaged the audience the most. Bitly links can help you track customer touchpoints from start to finish. By measuring engagement on each of these touchpoints, you can build a view of how your customers are interacting with your brand as they browse, research, engage, and buy. That lets you personalize your outreach and target your next campaign, so you can see how each channel is performing, from start to finish. Start making the most of your Bitly links today!